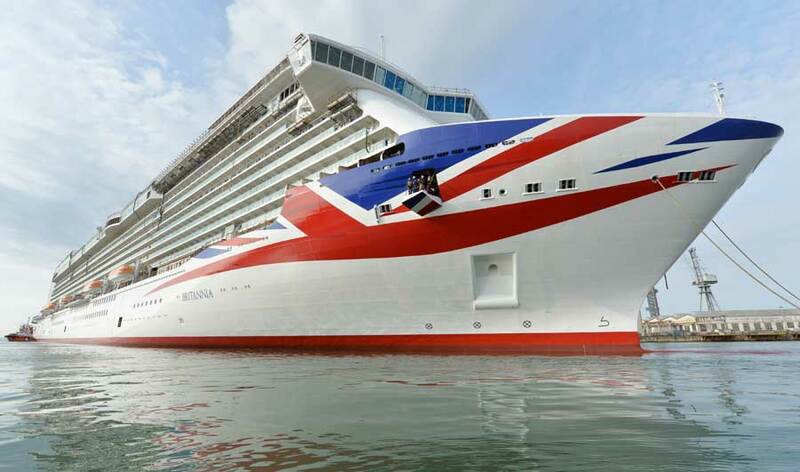 P&O Britannia is one of the most anticipated new cruise ship of 2015 especially for the UK as the ship is being purpose-built for the British market. Well now there is a rumor that Her Majesty The Queen is to be the Godmother the Britannia. According to posts on the Cruise Critic message boards a user named “A Floating Voter” posted “HM, accompanied by Prince Phillip, are to visit Hampshire on March 10th, this is shown on the Royal Diary dates. Britannia’s maiden voyage leaves Southampton on 14th March, — I’m on it !!! The dates may simply be coincidental but a naming ceremony just 4 days before the maiden voyage could be spot on.” This may be true as its also confirmed on the monarchy site. The P&O Britannia’s homeport is in Southampton, UK which is in the county of Hampshire. P&O Cruises were previously interested having the Duchess of Cambridge as Britannia s Godmother but once news of her pregnancy went public the dates no longer matched. The ship is a showcase to British cruising and is the largest ever ship purpose-built for the UK so having someone from the Royal family makes sense. It does seem that P&O Cruises wants a “Royal” Godmother but only time will tell if it will be Her Majesty The Queen. The last ship Christened by Queen Elizabeth II was the UK’s new Aircraft Carrier in July 2014. The new Flagship to the Royal navy is also named Queen Elizabeth. P&O Britannia will set sail on its maiden voyage from Southampton on 14th March 2015. Before that the Christening will take place at Southampton Port on March 10th. The vessel is 142,000 gross tons and once it enters service will be carrying over 3,600 passengers.